Honestly, very little is clear about those years but looking back I see that “The Farm” was, and still is the epicenter of the Charleston music scene. It has hosted everyone from Pavement and Rancid, to the Dave Matthews Band and Phish. No fewer than 25 Grammy winners have graced its stage and the list is steadily growing with the aid of a Music Farm set to open in Columbia later this year. While my relationship with The Farm began sometime around ‘94, the story actually begins a few years earlier. Kevin Wadley and Carter McMillan started the Music Farm in 1991 on East Bay St. in Charleston. Two years later, when the opportunity to move into a larger venue presented itself, the two relocated to 32 Ann Street where the Charleston Music Farm currently resides. 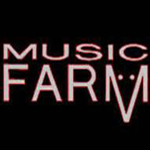 Over the next 15 years the Music Farm would go through 3 ownership changes, with current owners Marshall Lowe and Trae Judy taking over in 2007. In early May I had the opportunity to sit down with Trae and discuss the bold vision he has planned for the Columbia Music Farm as well as Music Farm Productions, the full service concert and event management company he co-founded with his partner Marshall Lowe. With two decades worth of nostalgia to adorn the walls of the Music Farm here in Columbia, this ownership group celebrates the musical legacy of The Farm while maintaining a clear sense of what is current. What Judy and Lowe have done is taken a dilapidated building once used as a workshop for city vehicles and even as a movie set and turn it into a Mecca for Music in the Midlands. There will be photos and old show posters from the past alongside an outdoor beer garden and televisions to watch the big game. There will be a state of the art sound system and flexible seating so that no show feels too big or too small. Walking around the space it is clear that a great deal of planning and love went into creating this Music Farm. From the 10-stall bathroom to the enormous stage (bands will be happy to note that they can pretty much back up right to the stage) this venue aims to create a well-rounded musical and entertainment experience. This is partly a reflection of its owners as Lowe approaches design from more of an artist’s perspective while Judy sees things more as a fan of music. 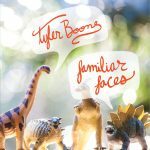 As many Charleston artists can attest, playing the Music Farm is and always has been a watershed moment in the careers of local musicians. Most can tell you the first time they played there and who else was on the bill, and that kind of rememberin’ doesn’t come easy for musicians. Judy is quick to point out that this Music Farm will be no different in that 75%-80% of the acts will have room for a local opener. “We want South Carolina bands to want to play here, to have aspirations of playing here” Judy explains. Of course there will be the occasional headliner hailing from the Palmetto State, but as regional and national acts make their way from Charlotte to Charleston Judy plans to make sure they stop in town to melt faces in the “famously hot” city of Columbia. The Music Farm-Columbia is a partnership between Music Farm Productions and The Tin Roof. Formally All-In Entertainment, Music Farm Productions has gained a regional reputation for quality live performances and concerts. They handle the booking for such venues as Jannus Landing in St. Petersburg and Florida Theatre in Gainesville, as well as numerous shows and venues throughout the Carolinas. 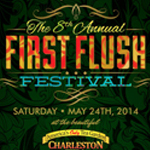 They are also the promoters and production company behind the First Flush Festival held annually at the Charleston Tea Plantation. The partnership with the Tin Roof here in Columbia is going to allow for patrons to enjoy the benefits of both venues as they will be sharing a kitchen and even have a door linking the two together. The Columbia music scene has been starving for a medium-sized 900-1200 seat venue. Many quality regional and national acts can’t fit into the Tin Roof and can’t fill the Township Auditorium. This is about building the musical infrastructure of Columbia and deepening the musical roots of this city. It is about paying homage to the great bands that have passed through the Farm and for those that will soon use it to launch their own success story. For Those About To Rock (We Salute You). “Keep on Rockin’ in the Free World” – Down Home, Top shelf, Under the Radar – Welcome to Pintech!